Weather through the worst with the Frontier Filter Straw . This ultralight and compact water filter is certified to EPA standards for the removal of Cryptosporidium and Giardia. It also reduces chlorine, chemicals, taste, and odor and it’s certified lead free to NSF/ANSI 372. 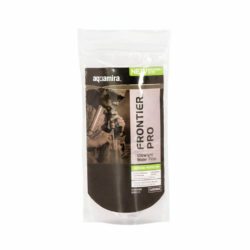 Keep a Frontier Filter Straw in your pack or pocket for when you need it most. 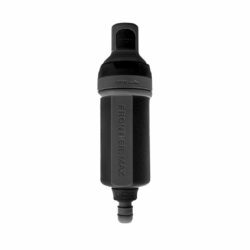 Don’t let the light weight and compact size fool you, the Aquamira Frontier Filter Straw is technology in a tube. Aquamira BLU Line Protection is achieved using our Micro-adsorption Technology. This unique filtration technology combines the power of activated coconut shell carbon with medical grade micro-porous plastic to create much more than a “taste and odor” filter. 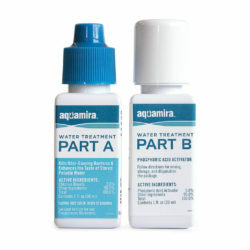 Aquamira BLU Line filters are certified by IAPMO to consistently remove protozoan cysts to US EPA standards. They also reduce chlorine and harmful chemicals, bad tastes, and odors to ANSI/NSF Standard 42 requirements, and are certified lead free. (ANSI /NSF-372) Aquamira BLU Line filters have been tested and proven effective in removing Cyanotoxins such as Microcystin and other algae produced bio-toxins found in the great lakes.